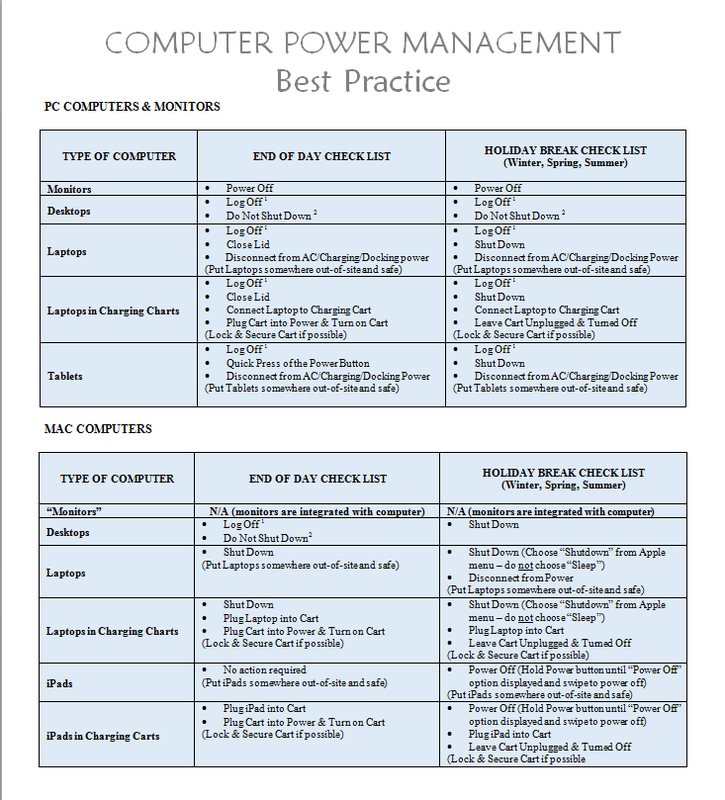 I was forwarded this chart by a colleague that outlines some power management tips at school. Over the holidays, updates are occasionally sent out remotely which it is recommended that computers are logged off and not shut down. Sleep mode draws very little power (just a few watts more than the computer being off completely). Electronics still consume power while plugged in even when turned off. Here’s an 2009 article from PCWorld on the topic for the curious. Anything with a battery such as a laptop or iPad should be unplugged and not left charging over the holidays. If it is left plugged in and charging for an extended period of time it can drastically shorten the lifespan of the battery.